The northern section of the "litoral central", as the central coast of Chile is known for its rather sophisticated seaside resorts. 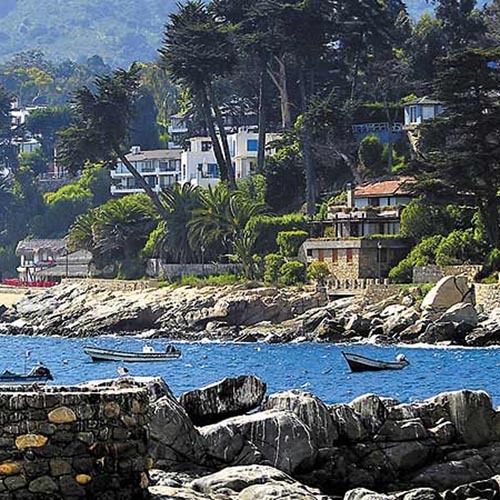 There are old mansions next to modern dream chalets with heliport, such as the villa of a Chilean football star. When blonde families with a horde of kids and all the housemaids spend their days on the beach, one dives into another world. This also belongs to this country, the population of the luxury class Santiagos spends the summer months on this stretch of coast. Practical: 8 hours environment Tour by private car. Catering on demand, on own cash register. Price: 60,000 pesos per person. Service: Private tour, private transport.